Carolina Arbors is a 55+ community within close proximity to Duke University and North Carolina Central University. You may not think of retiring near a college town at first, but more Baby Boomers are moving toward this idea. Choosing a college town as a retirement destination has some great benefits that appeal to many active adults. Not only does living near a college town offer retirees an active lifestyle, but it also provides an intellectually stimulating and culturally rich environment. Other factors that appeal to retirees are the low cost of living, affordable housing, tranquil natural setting, and quality health care. One of the common similarities between active adult communities and college towns is that they both offer a social lifestyle. Retirees who live near college towns like Durham, North Carolina, may be more involved in the community and have something to contribute to society even if they are no longer part of the work force. One of those active adult communities is Carolina Arbors, which provides an active lifestyle in the famous Triangle Area of North Carolina with endless attractions and close to universities and medical centers that’s perfect for active adults. Academy Village in Tucson, Arizona is a 55+ community located near the University of Arizona. Not only does this active adult neighborhood offer its own life-long learning program through the Arizona Senior Academy, but residents also have access to events and cultural activities from the university’s UA Presents program. This offers live theater, music, dance, and traveling Broadway performances. Residents have more possibilities to explore in an intellectual setting where they can flourish during their retirement. Some college towns offer residents senior discounts to take courses on campus or online as well as access to campus events and activities. Princeton Windrows is an active retirement neighborhood in Princeton, New Jersey. Located within an ideal college town, residents enjoy a charming neighborhood setting. This vibrant age-restricted community is close to Princeton University’s campus and downtown area that has plenty of cultural and intellectual opportunities as well as entertainment, dining, and shopping. The area is also pedestrian-friendly with easy access to public transportation, which makes getting around town and campus a breeze. Williamsburg, Virginia, has been known as a popular place to retire because of its scenic views and colonial charm that appeals to history buffs and retirees. It also has a low crime rate and low property taxes. The small-town atmosphere, outstanding health care facilities, and educational opportunities appeal to active adults. 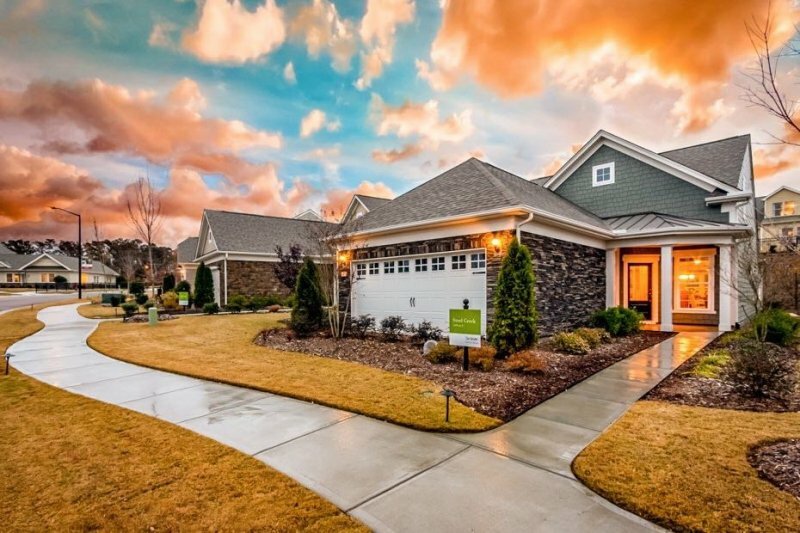 Some 55+ communities in the Williamsburg area include Villas at Five Forks and Colonial Heritage. Both have easy access to recreational attractions like museums, shopping, dining, an international airport, and Chesapeake Bay. Active adult communities near college towns have a lot to offer Baby Boomers that will make their retirement mentally and physically fulfilling.